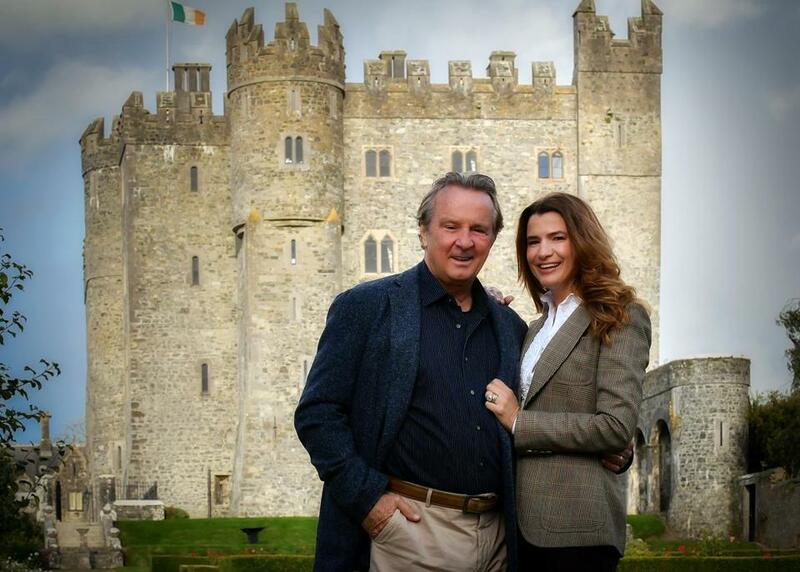 Jay and Christy Cashman bought Kilkea Castle in County Kildare, Ireland, and turned it into a hotel, resort, and their second home. Jay Cashman visited his ancestral home of Ireland for the first time when he traveled there with his then-fiancee. They liked it so much, they bought a castle. Cashman and his now wife, Christy, spend a week a month at Kilkea Castle, a 12th-century fortress and 180-acre estate beside the River Greese in County Kildare that they’ve renovated and reopened into a hotel, resort, and golf club but also as their own second home. They’re among a growing number of Americans who are taking their passion for travel to a new extreme by retiring abroad, preparing to retire abroad, or spending significant chunks of time there. Instead of Florida or Arizona, more and more are opting for South or Central America, Mexico, the Caribbean, or Europe. More than on their radar: The federal government now sends Social Security checks to 680,000 American retirees who live in other countries, the Social Security Administration reports. Many, many others likely keep their US bank accounts, Peddicord and fellow experts say, but live abroad full or part time. “For me the genesis was the historical connection,” Cashman said — sealed when his car broke down on an Ireland visit and a local almost immediately picked him up and unhesitatingly drove him 20 minutes out of the way. There are practical considerations for living or spending chunks of time elsewhere — principally that many countries where Americans retire have a much, much lower cost of living than domestic destinations where they might move. But many people who have retired abroad, or spend their winters there, say they have an even more important reason: It’s a lot more interesting than lying by the pool or on the beach in Scottsdale or Tampa. That makes moving overseas what Peddicord describes as an organic evolution. “Retirement-age people are baby boomers like myself. We came from a far more adventurous group of people than our parents did,” said Beth Clifford, Maine-based developer of the new Mahogany Bay Resort & Beach Club on Ambergris Caye in Belize. Mahogany Bay includes 25 private residences developed in partnership with the lifestyle magazine Coastal Living. In the resort’s first year, a third have been snapped up by owners Clifford describes as snowbirds; some still work, but have jobs with flexible schedules — airline pilots, entrepreneurs — who can spend weeks to months there at a time. Aged from around 45 to 60, she said, “They’re buying early because they’re looking at spending more time down there” in their retirement. And they can do that for a lot less than it costs to buy similar digs in the United States. Mahogany Bay’s first homes were priced from $399,000 to $800,000, and more are planned in the high $200,000 range; there’s round-the-clock security and maintenance and access to the spa and restaurants of the neighboring Hilton Curio Collection hotel. But planned resorts developed just for them are not the only international destinations appealing to retirees. Many are setting off on searches of their own, and looking for something more authentic. Technology has made that easier than in the past. So have some governments, eager to attract retirees. Under Belize’s Qualified Retired Persons program, for example, foreign residents 45 years or older with a minimum income are exempt from taxes on earnings from outside the country. Mexico issues temporary residence visas good for up to four years, with no restrictions on travel in or out. Panama offers residency to expats who can prove they have savings or income available for their retirements, and throws in discounts on doctor visits, international flights, and even movie tickets. Husband-and-wife retired university professors Milton Teichman and Sharon Leder, owners of the Teichman Gallery in Brewster, have since 2001 spent their summers on Cape Cod and their winters not in Boca Raton or West Palm Beach, but in Oaxaca and San Miguel de Allende, Mexico. A painter and sculptor, he worked in two artists’ studios; a writer, she led writing workshops with fellow expats from all over the world. Many of their friends on the Cape also winter abroad, the couple said — on St. John in the Caribbean, for instance — instead of retreating to conventional domestic retirement fallbacks and their comparatively mundane routines. Teichman paused, then commented wryly.